I offer half-day workshops for Professional Development groups or in schools either to Key Stage 2 teachers or to all teaching staff. The workshops last 3 hours and can be arranged to fit in either with the school day or twilight sessions. 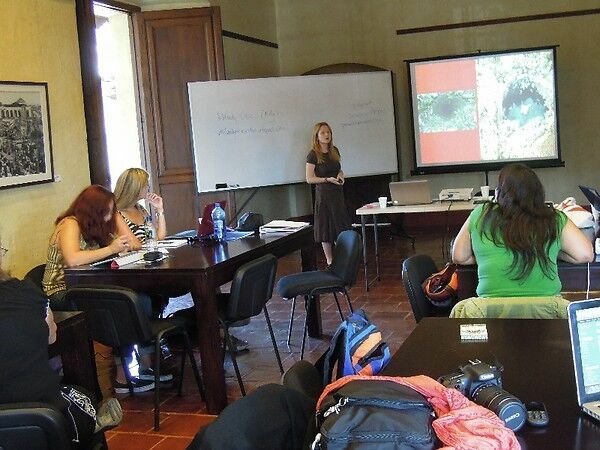 The workshops are aimed at participants with little or no prior knowledge of the Maya. Teachers will learn and try their hand at calculating Maya numbers and determining dates in the famous Maya calendar. They will also receive a resource packet that includes information, teaching activities and accurate online and printed resources. 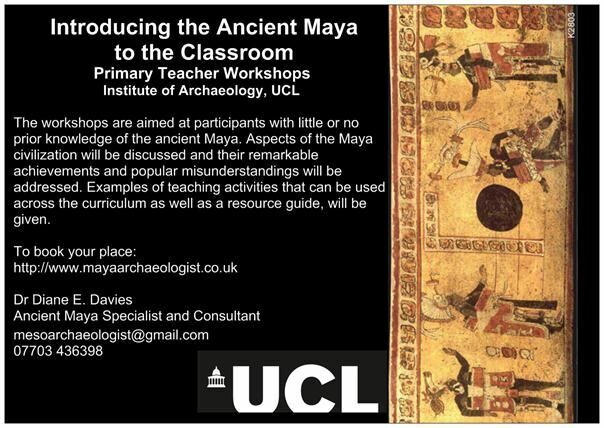 I also organise full-day workshops at the Institute of Archaeology, University College London and elsewhere. 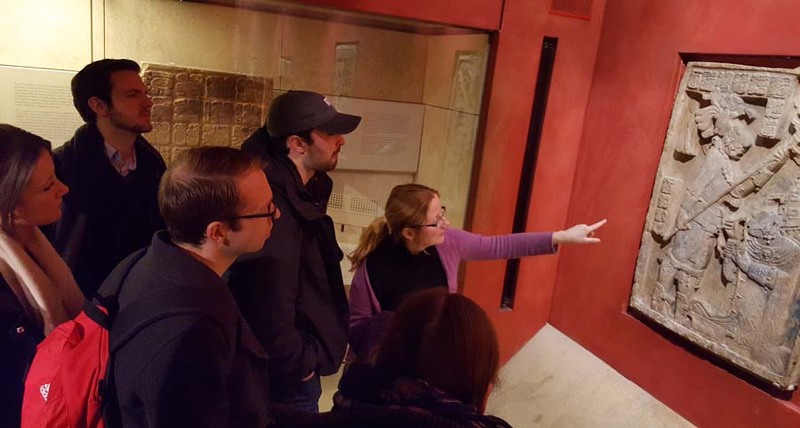 The workshops follow the same schedule as the school visits, but they also include a museum tour, the Mexican Gallery in the British Museum. “Thank you so much for your talk today, I hugely appreciated it and can’t wait to bring it to the classroom and inspire children with tales of hot chocolate and ballgames! It is always wonderful to hear someone speak with passion about a subject especially one as inspiring. I am really excited by the idea of being able to teach with knowledge and understanding, and loads of credit to you for being able to deliver so much information in such a brief time. 2016 School Improvement Centre, Liverpool. 6 December.